The sipVine Blog and various downloadable documents are designed to provide readers with informative and insightful facts and commentary on VoIP in business. Below are our most popular downloads that will provide you assistance as you research the nuances of VoIP and the specifics of sipVine. We invite you to visit our Blog as well. 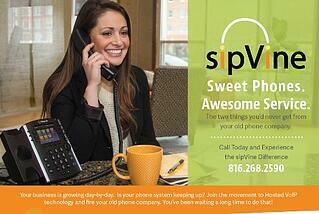 We promise that it is not just a commercial for sipVine! Finally, we've provided some training videos for use of the Cisco and Polycom phones on the sipVine Hosted VoIP Service. Enjoy! Hosted VoIP Services are packed with Features and Capabilities. Check out best practices and ways to leverage all of the capabilities for the benefit of your business. You do NOT necessarily need more bandwidth for VoIP! You do need to work with a company who understands and has a solution for Quality of Service settings. Learn the facts from our Whitepaper! One sipVine customer has shared a testimonial of how their multi-location business has benefitted by going to a hosted VoIP platform. Many businesses are replacing old phone systems. 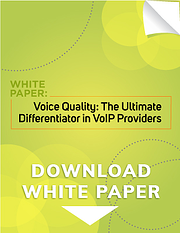 This whitepaper will assist you in deciding between Hosted VoIP and On-site phone systems. 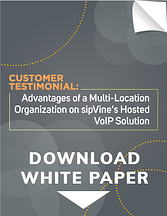 This document provides a good summary of the features and benefits of sipVine's Hosted VoIP Service. If you have any questions, please contact us! The Solution is Your Solution. Let us customize one for your business.